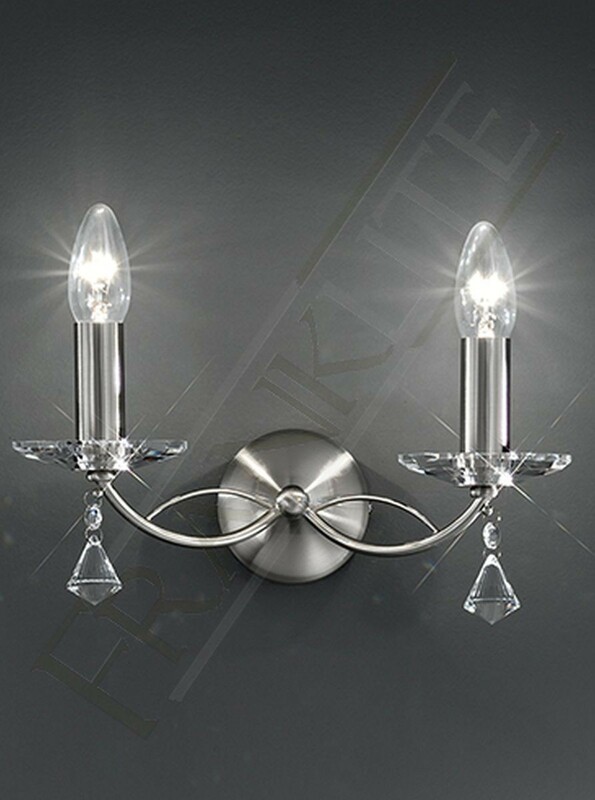 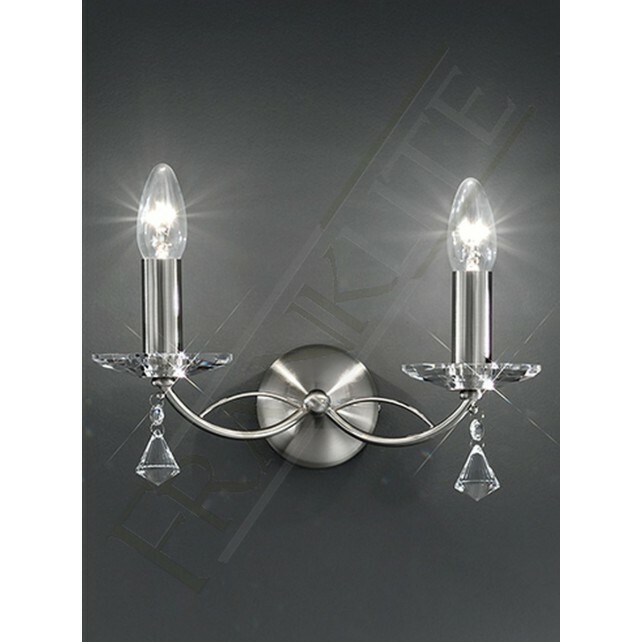 Satin nickel fittings with crystal glass sconces and faceted drops, this 2 light wall light from the Monaco range by Franklite features delicate curved supporting arms and matching candle tubes. 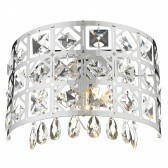 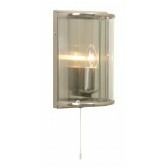 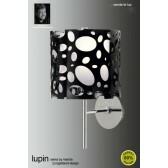 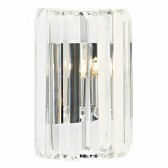 This fabulous light combines a classic style with a modern design. 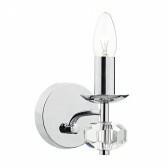 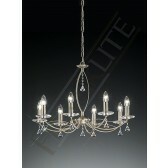 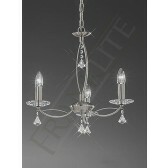 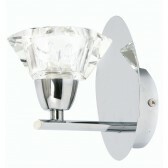 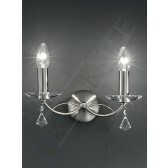 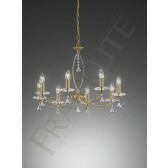 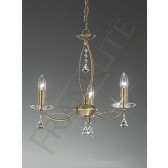 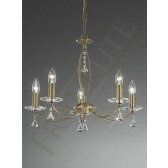 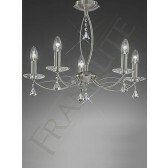 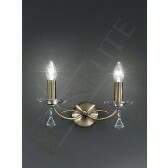 The sophisticated neat design would look ideal in a hallway or living room matching with the family of fittings.